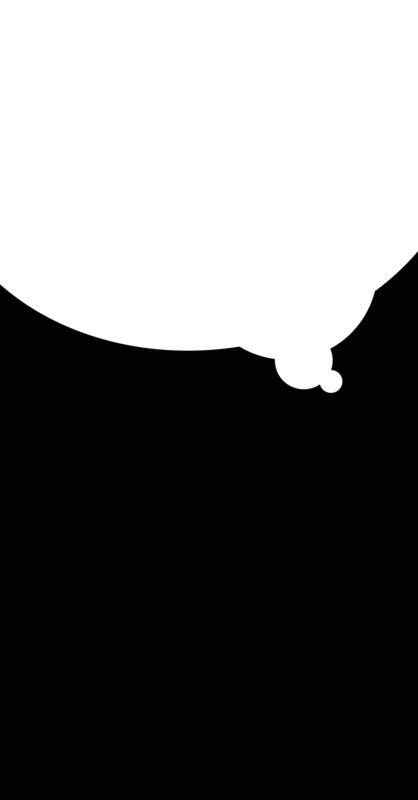 You can swap in different pieces to create a system that meets your exact specifications and preferences, and each system is tested together for performance. 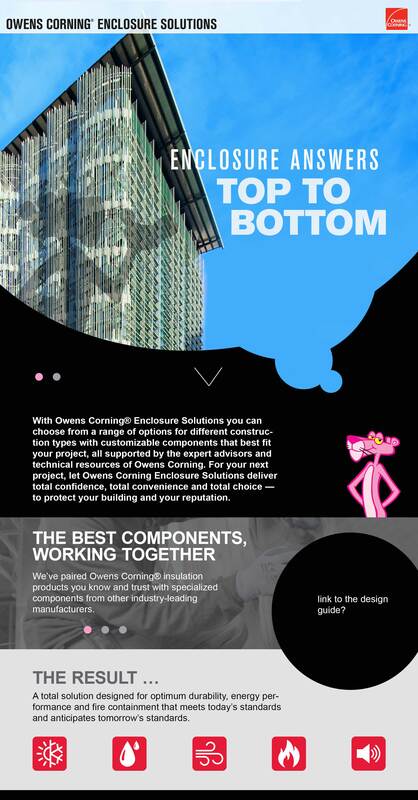 Owens Corning understands that every project still needs flexibility, so you’re not locked in to every component. 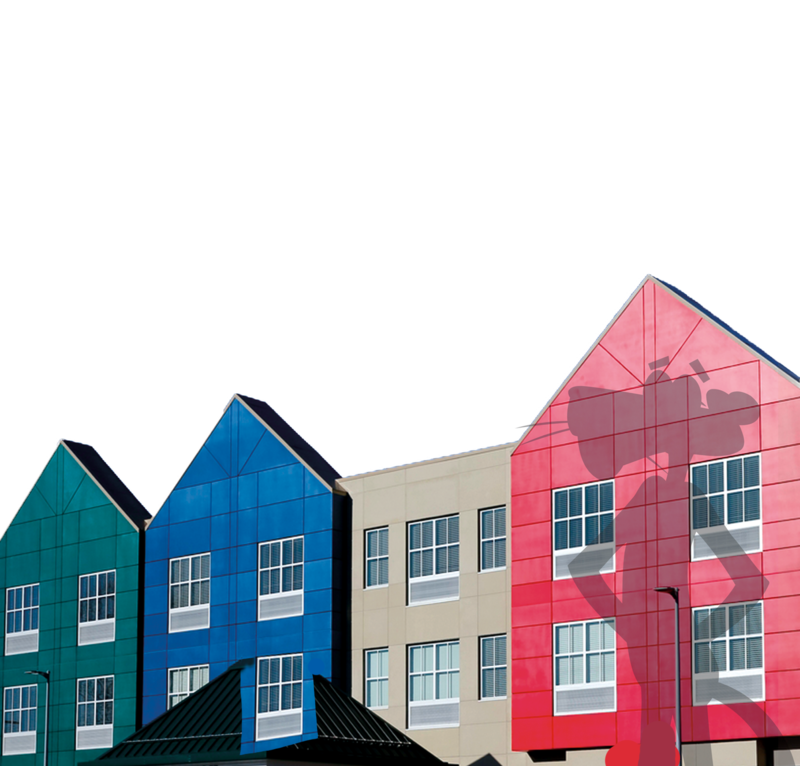 With assured and documented performance and flexibility to choose from a variety of components, you'll have total confidence, total convenience and total choice. 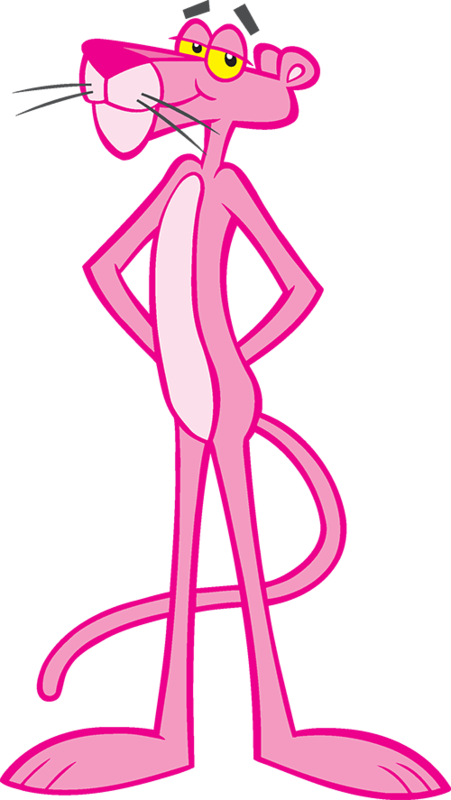 THE PINK PANTHER™ & © 1964–2016 Metro-Goldwyn-Mayer Studios Inc. All Rights Reserved. 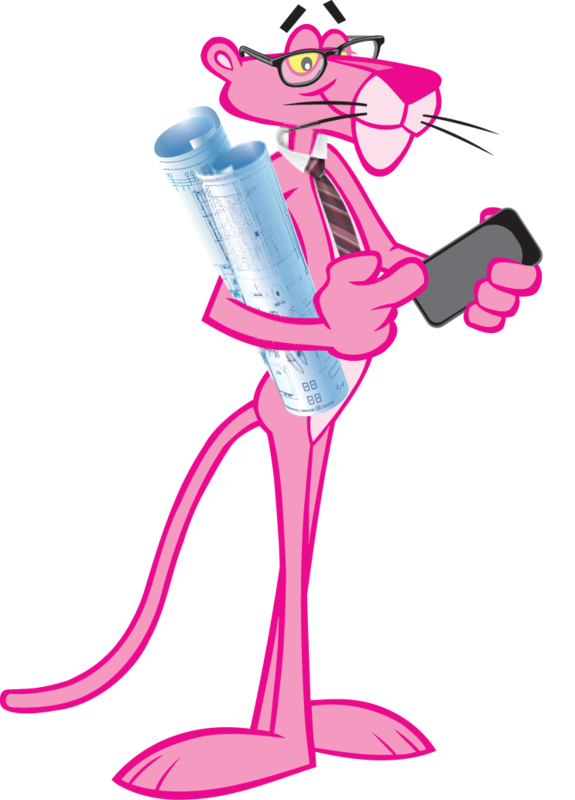 The color PINK is a registered trademark of Owens Corning. 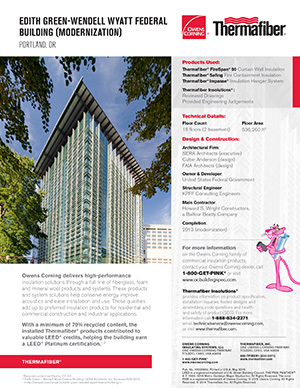 © 2016 Owens Corning. All Rights Reserved. 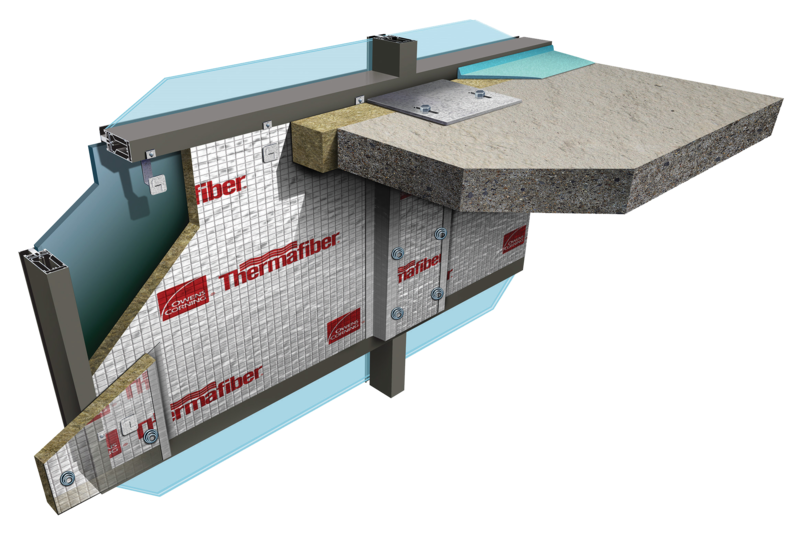 © Thermafiber, Inc. All Rights Reserved. 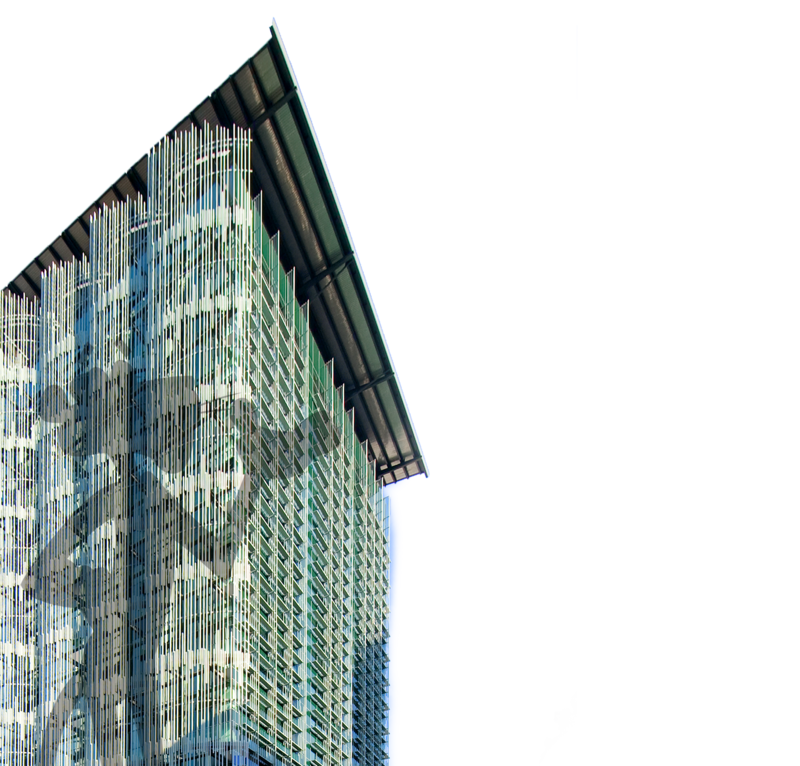 The time consuming work of researching and specifying individual components is completed for you and delivered with fully detailed documentation, for more efficient and accurate bidding and planning. 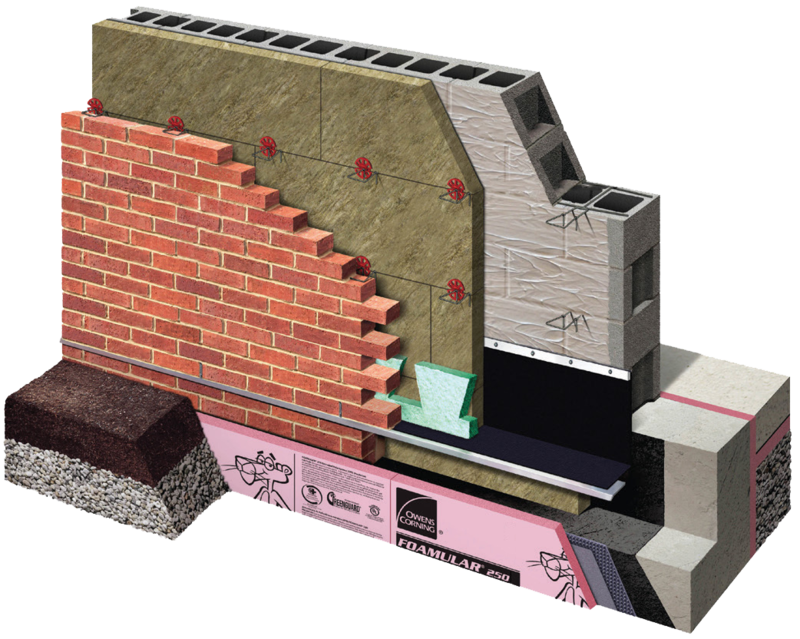 We’ve paired Owens Corning® insulation products you know and trust with specialized components from other industry-leading manufacturers. 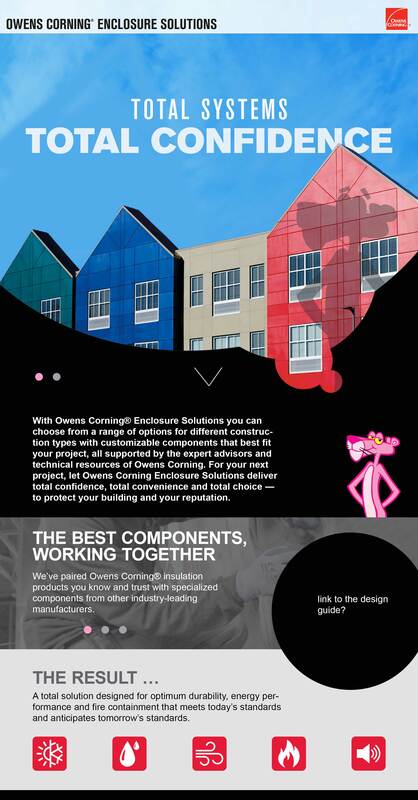 With Owens Corning® Enclosure Solutions you can choose from a RANGE OF OPTIONS for different construction types with CUSTOMIZABLE COMPONENTS that best fit your project, all supported by the EXPERT ADVISORS and technical resources of Owens Corning. 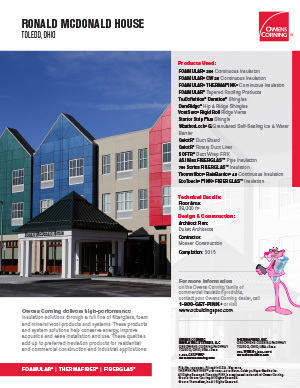 For your next project, let Owens Corning® Enclosure Solutions deliver total confidence, total convenience and total choice — to protect your building and your reputation. 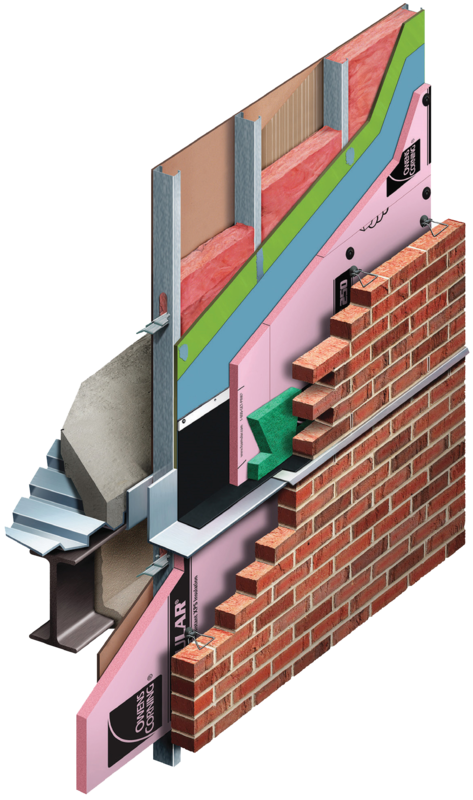 A total system designed for optimum durability, energy performance and fire containment that meets today’s standards and anticipates tomorrow’s.